The Centre for Public Interest Litigation (CPIL), on Monday, filed an Intervention Application before the Supreme Court, demanding a Court monitored probe by a "high powered team" into CBI Special Judge Brijgopal Harkishan Loya’s death. The Application, filed through CPIL's Secretary, Advocate Kamini Jaiswal, makes reference to a report published last month by the Caravan Magazine, which had cited opinion from Dr. R. K. Sharma, one of India’s foremost forensic experts. According to this report, Dr. Sharma had examined Judge Loya's post-mortem report and related histopathology report, and had ruled out the possibility of him dying due to a heart attack. Dr. Sharma had, in fact, opined that the reports showed signs of trauma to the brain and even possible poisoning. "Mr.Prashant Bhushan, learned counsel appearing on behalf of the intervenor would submit that he would conclude his arguments within twenty minutes and, in any case, shall not exceed half an hour"
Could this person have suffered a serious heart attack, one-two hours before this ECG is taken? Is the histopathology report of his coronary arteries and heart muscle consistent with his death being due to acute myocardial infraction or coronary thrombosis? Whether a person who has died due to myocardial infraction could show significant congestion of the dura, liver, spleen, kidney, larynx, trachoa and Bronchi, lungs? Is it possible for this congestion of all his organs as mentioned in the post mortem report, to have taken place because of CPR administered at the time of his death? The Application then says that Dr. Kaul answered the first question in the negative, stating that "the ECG has no evidence of a recent myocardial infarction". The answers to the other two questions also, it says, "almost conclusively destroy the official version of Judge Loya dying of a heart attack". The Application further relies on expert opinion sought by Advocate Prashant Bhushan from other reputed cardiologists, who in effect confirmed the conclusions that the ECG does not show any signs of a recent heart attack and that if Judge Loya had died due to a heart attack, some part of the heart muscle would have died, which is not the case here. The Application then highlights the failure of the State to hand over the ECG and the histopathology report to the Court, contending, "The withholding of the ECG report and the histopathology report from the set of documents handed over by the State of Maharashtra to the Court (without any affidavit) also assumes significance in this regard. The government appears to have withheld these documents since they were aware that they would demolish the claims of the government that judge Loya died of a heart attack." 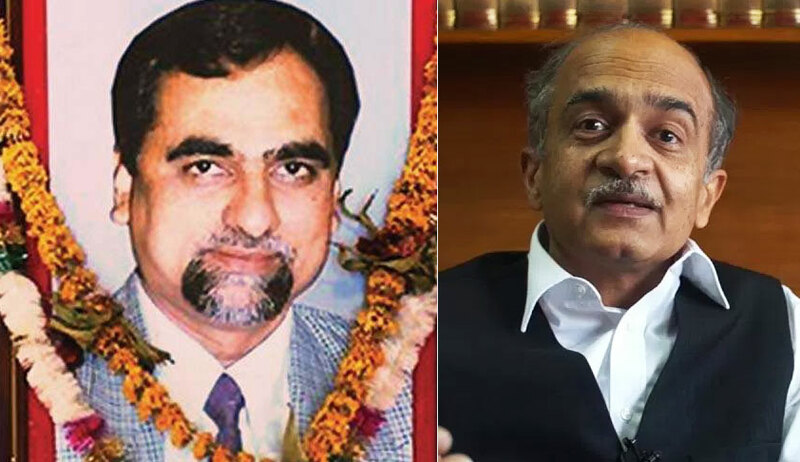 It goes on to point out that the State of Maharashtra has relied almost entirely on the version of four Judges of the Lower Court, two of whom were purportedly with Judge Loya on the fatal night in Nagpur. The claims of these Judges are, however, submitted before the Court without any affidavit by either of the Judges or any officer of the State. This, it says, discredits the claims made on behalf of the Judges, as "one cannot even be sure whether this was indeed the version given by those four judges". In arguendo, it further submits, "However even if one were to assume that this is the version of those judges and further that they are telling the truth, their account of Judge Loya’s death certainly does not prove that it was due to a heart attack. At best they say that he complained of chest pain, was taken to Dande Hospital, that he collapsed on the way from Dande Hospital to Meditrina Hospital and that he died either on the way or on arrival at Meditrina Hospital. This eye witness account could be consistent with various other causes of death including poisoning. Quite apart from this there are various other problems with the official version which has been pointed out by the other petitioners, that raise serious doubts with regard to the cause and circumstance of Judge Loya’s death." A Supreme Court Bench comprising Chief Justice Dipak Misra, Justice D.Y. Chandrachud and Justice A.M. Khanwilkar is currently hearing two petitions and several Intervention Applications demanding an independent probe into Judge Loya's death. You may read an account of the hearing here. The allegations first appeared in two reports by The Caravan Magazine, which cited interviews with Judge Loya’s relatives– his sister Anuradha Biyani, niece Nupur Balaprasad Biyani and father Harkishan. According to the magazine, Judge Loya’s wife Sharmila and son Anuj declined to speak since they feared for their lives. As per the article, Judge Loya was in Nagpur for the 30 November, 2014 wedding of the daughter of another sitting Judge at the Mumbai Sessions Court, Swapna Joshi. On 1 December, his family members received calls informing them about his demise after suffering a massive cardiac arrest. The investigative report by Mr. Niranjan Takle points out glaring inconsistencies in the cardiac arrest story. It highlights inconsistencies in the reported account of the death. There were large variations in the precise time of his death and that fact that Judge Loya’s phone was wiped clean of all data before it was returned to the family. The Judge’s postmortem report was also allegedly signed by “maiyatacha chulatbhau”, or paternal cousin, when his family says there is no such person in the family. Further, his family members had noticed blood on his clothes. Another article had alleged that Justice Mohit Shah had offered Judge Loya Rs. 100 crore for a judgment in favor of Mr. Amit Shah. The article had quote the Judge’s sister, who claimed that Justice Shah would “would call him late at night to meet in civil dress and pressure him to issue the judgment as soon as possible and to ensure that it is a positive judgment. Shortly after Judge Loya’s death, a new Judge, M.B. Gosavi had discharged Mr. Amit Shah, after hearing the parties for three days. The article goes on to question the manner in which the trial took place, asserting that it had violated a September 2012 Supreme Court order, that the Sohrabuddin trial “should be conducted from beginning to end by the same officer”.